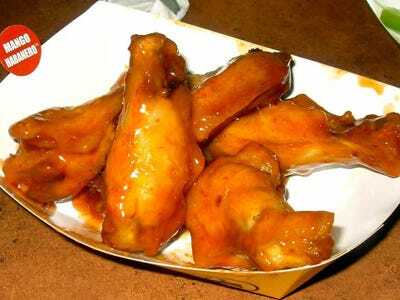 “Historically high” chicken wing costs was one reason why Buffalo Wild Wings‘ second-quarter profits fell. “Our profitability was pressured this quarter driven by historically high wing costs, a mix shift to our promotional days, lower than expected same-store sales, and higher operating expenses,” said Sally Smith, the restaurant chain’s CEO, in a statement on Wednesday. “Due to our disappointing second quarter earnings and an outlook for slowing traffic as we manage through the Tuesday promotional change, we are lowering our 2017 earnings outlook,” Smith said. Buffalo Wild Wings now sees full-year adjusted EPS in a range of $US4.50-$US5, down from $US5.45-$US5.90. The company’s shares were halted in extended trading ahead of the earnings news. They fell 21% through Wednesday’s market close.